As the new administration and Republican allies in Congress plan their agenda for 2017, repeal of the Affordable Care Act is front and center. Senate Republicans last week put out a policy statement reiterating their plans to roll back the law and claimed — in part based on our research — that this would have only modest effects on the number of Americans without health insurance. Simply put, this is wrong and a misleading characterization of our work and that of others who have studied the ACA’s impact. The ACA expanded health insurance to more than 20 million Americans through several different approaches, including Medicaid expansion, subsidies for private coverage, the elimination of the ban on preexisting conditions, and an individual mandate. In recent research with our colleague Molly Frean, we examined how these various parts of the ACA produced increases in insurance coverage in 2014-2015. We found that about 40 percent of the expansion of coverage was due to the new tax credits for individuals to purchase private insurance on the ACA’s insurance marketplaces; 20 percent occurred among the individuals made newly eligible for Medicaid in 2014; and 10 percent was via increased Medicaid coverage in “early adopter” states that expanded Medicaid before 2014 with ACA funds. The remaining 30 percent was due to what some have called the “woodwork” effect: individuals who were already eligible for Medicaid before the ACA, but came “out of the woodwork” once the law was implemented. Critics of the law have recently used our results to argue that since only one-third of the Medicaid coverage gains arose from the new expansions, a repeal would have limited effects on overall coverage rates. This is wrong on many counts. First, if the ACA is repealed, coverage gains will immediately disappear from three of the four sources we studied that combined to produce 70 percent of the law’s coverage effects: the Medicaid expansion, premium tax credits, and the early expansions. These early expansions in states like California only exist because of federal funding provided by the ACA, which would go away after a repeal. Repealing all three of these sources of coverage would be devastating for millions of families. Second, the increased Medicaid enrollment in 2014-2015 among previously-eligible individuals is not coincidental to the ACA — it is the direct result of many policies in the law intended to do just that. The law simplified the Medicaid application process and made it so that most people could enroll solely based on low incomes without cumbersome tests of their assets. The ACA also motivated enrollment through several mechanisms, including the individual mandate, massive enrollment outreach in most states, and press coverage of the fact that Medicaid was now more broadly available. Repeal would have the opposite effect. Individuals would no longer be mandated to enroll in insurance, nor would they be reminded to do so by other aspects of the law, and pre-ACA application barriers would likely crop up again without concerted legislation to prevent it. Individuals are not permanently enrolled in Medicaid — they must go through a potentially burdensome renewal application each year (and before the ACA, sometimes more frequently than annually). After a repeal of the ACA, many of these individuals would likely lose their newfound coverage and return to the ranks of the uninsured. In addition, we find that approximately 1 million uninsured children have gained coverage from Medicaid since 2014, many of them because their parents — now newly-eligible for Medicaid themselves — were more likely to sign their families up for coverage. Indeed, research by one of us found that when parents lose Medicaid coverage, children often follow suit. If parents are disenrolled after an ACA repeal, many children will return to being uninsured. These are not just theoretical concerns. Welfare reform of the mid-1990s provides a cautionary precedent. Before reform, those who received cash welfare automatically qualified for Medicaid. Welfare reform ended this automatic qualification, requiring individuals who had been getting cash welfare to separately apply for Medicaid for the first time. Medicaid eligibility did not change; there was no reason those on Medicaid could not reenroll. But many – confused by the changes or dissuaded by the increased hassle – did not. A study by the nonpartisan Government Accounting Office found that among families eligible for Medicaid whose cash benefits were terminated, Medicaid participation fell by as much as 75 percent. More broadly, this issue isn’t just about the ACA. The selective use and misinterpretation of evidence to serve political purposes is a deep threat to effective governing. The fact that research may be misinterpreted or used inappropriately can have a chilling effect on the production of evidence that can lead to better public policies. And in this case, it represents a highly selective use of evidence about the ACA that ignores a slew of other recent studies on the law. Papers in leading medical and policy journals have shown that the ACA and its Medicaid expansion have significantly improved access to primary care, specialty care, and prescription medications. Low-income patients in expansion states are getting more preventive care and are now less reliant on the Emergency Department. 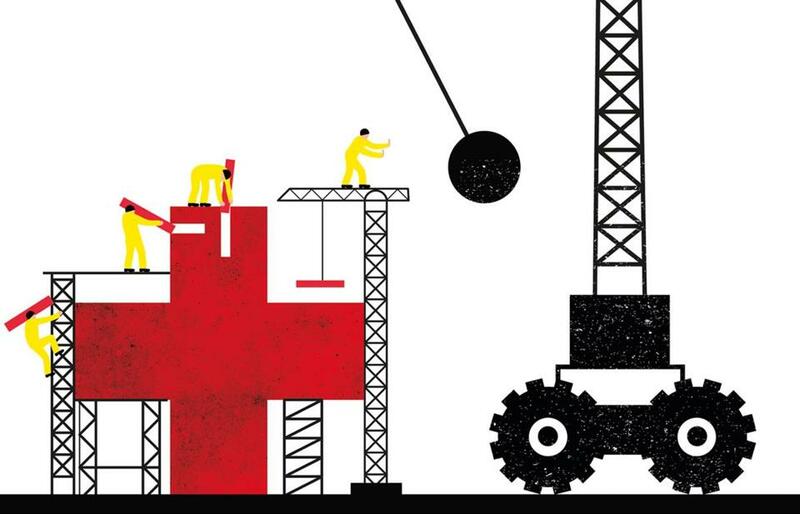 Hospitals have benefited from reduced uncompensated care costs. Millions have been protected from financial distress from unpaid medical bills. And the law has produced positive changes in how Americans rate the quality of their medical care and their overall health. Opponents of the ACA have offered various arguments for why they want to repeal the law, and debating the law’s costs and benefits is appropriate. But politicians should not deceive themselves or the public into thinking that a repeal of the law won’t lead millions of Americans — adults and children — to lose their health insurance, with devastating consequences for many of them. Jonathan Gruber is the Ford Professor of Economics at MIT and was a consultant to the Obama administration and Congress on the Affordable Care Act. Benjamin Sommers is an assistant professor at the Harvard T.H. Chan School of Public Health and Harvard Medical School and previously served as an advisor in the US Department of Health and Human Services.